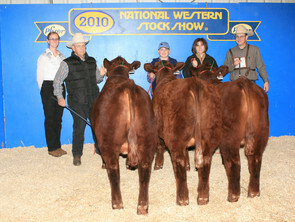 The Reserve National Champion Pen of Optimizer Composite Bulls sired by MAC F1 Sundance 4S and Woodhill Foresight. THEY SELL IN PERFORMANCE POWER 2010. 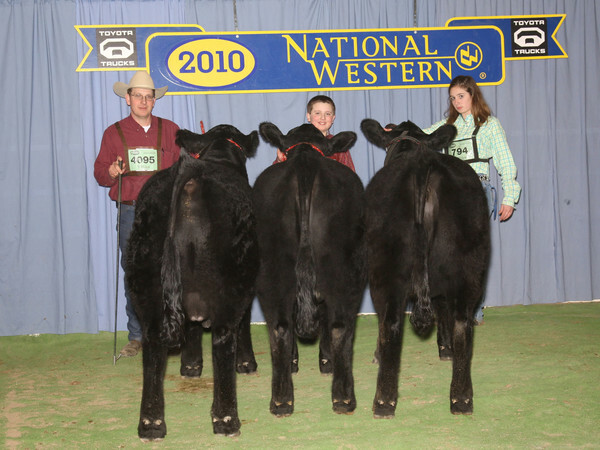 Congratulations to Greg Weers of Twin Valley West in Diller, NE who had the Grand Champion Pen of Optimizer bulls, all sired by MAC F1 Sundance 4S. 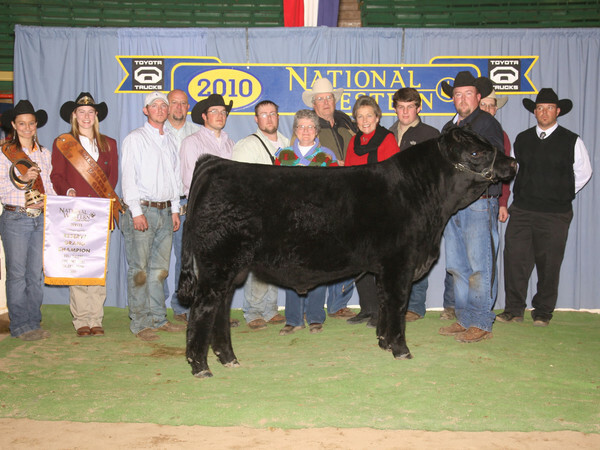 This pen of April-born Salers bull was our class-winning entry in the 2010 National Salers Pen Bull show. 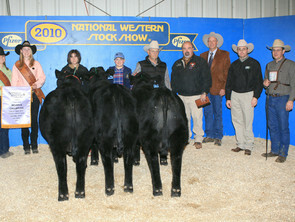 THEY SELL IN PERFORMANCE POWER 2010. 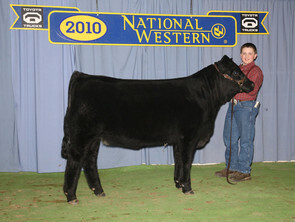 Jerrod won his class in the Junior Futurity show with MAC Winona 127W, a daughter of MAC Topeka 159T. 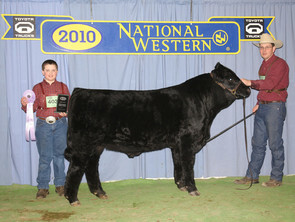 The Champion Junior Get-of-Sire was won by the progeny of MAC Topeka 159T.